The last classic-era, front engine, V12 Ferrari was the 365 GTB/4. 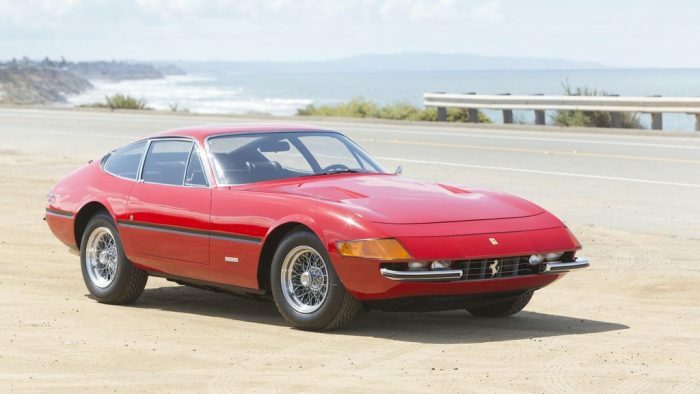 The press nicknamed it the Daytona much to the disdain of Enzo Ferrari. It first appeared at the 1968 Paris Motor Show and its 170 mph top speed became a supercar benchmark. The 365 took off from where the 275 GTB/4 left off. It used a similar V12 upfront, but with one more liter of displacement. Both cars had four-wheel disc brakes, independent suspension and a rear-mounted transaxle balance out the front/rear weight ratio. 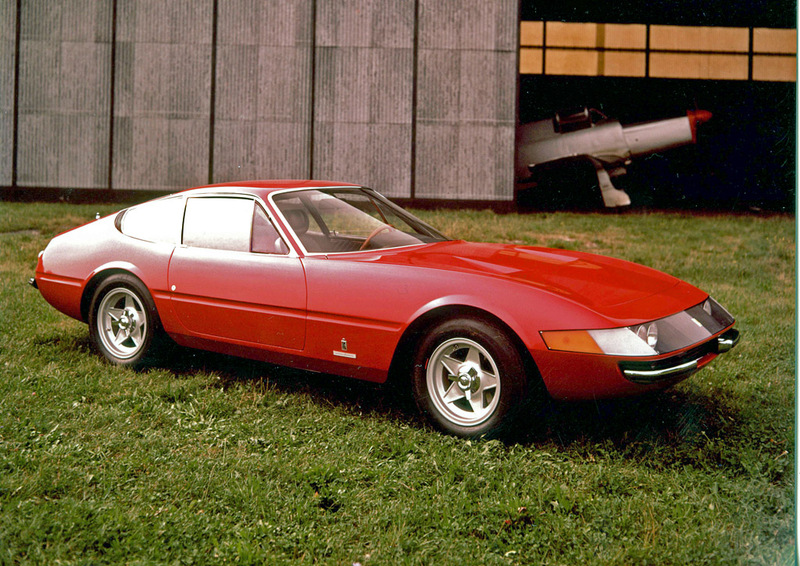 Pininfarina was careful adapting Fioravanti’s lines to avoid the earlier aerodynamic mishaps of the short-nose 275. The overall design traits included a long hood, cutoff tail and steeply angled nose. At first this nose featured four lights under a Plexiglas shroud which were later replaced by pop-up units. Under the hood was a 4.4-liter V12 that could power the 365 up to 170 mph if any owner had the tenacity to explore the full range of fifth gear. 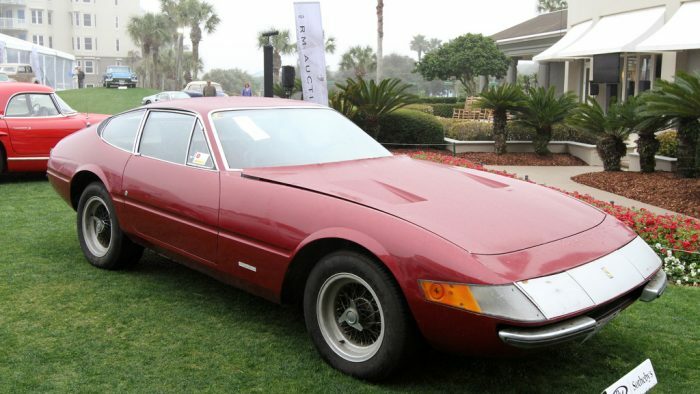 This tremendous speed was emphasized in the first ever Cannonball run when Brock Yates and Dan Gurney piloted their Daytona during the 36-hour road race. Afterward, Road & Track called it “the best sports car in the world”. Ferrari was up against rival Ferruccio Lamborghini who triggered the dawn of the modern supercar era with the Miura. With its quad-cam, transversely mounted V12 engine sitting in the center of the car, the Miura made the Daytona look outdated. However, where the Ferrari lacked in outrageousness, it excelled in driveability and performance. To take advantage of the growing convertible market, Ferrari had Pininfarina design a drop-top version which was executed by Scaglietti. Only around 120 of these were originally made with equally as many being chopped for the added experience of open air driving. 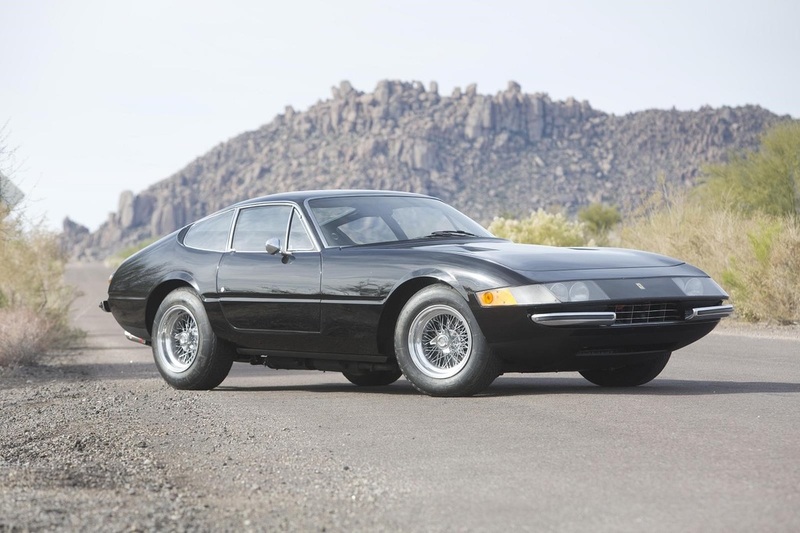 Still today the Daytona stands out as one of the best Ferraris made. During its time, it was the fastest road-going car and it took many years for the supposed 180mph top speed to be challenged. 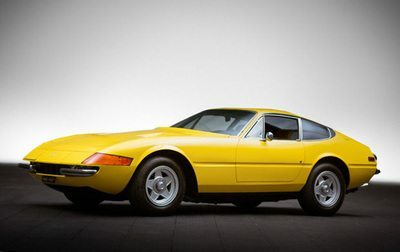 Over 1200 Daytonas were constructed and they became Ferraris best produced two-seater. 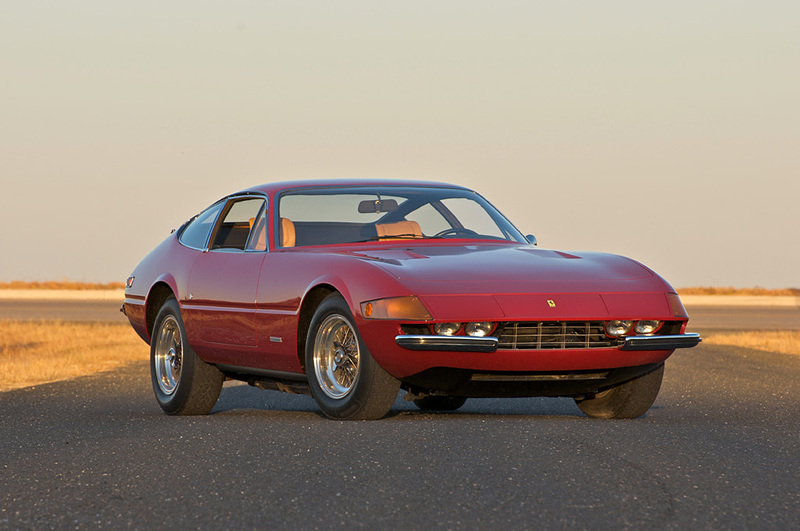 1969 Ferrari 365 GTB/4 Daytona Plexi 12561 – sold for $517,000 Highly Desirable European-Specs, Plexi-Nose Daytona. Equipped with Rarely Seen Early-Production Features. Less than 9,000 KM (5,600 Miles) from New. Highly Original, Never Restored, and Just One Repaint. Offered from an FCA Master Judge, Complete with Books and Tools. Recent $25,000 Service, Sorting, and Fine-Tuning. Documented by Noted Ferrari Historian Marcel Massini. 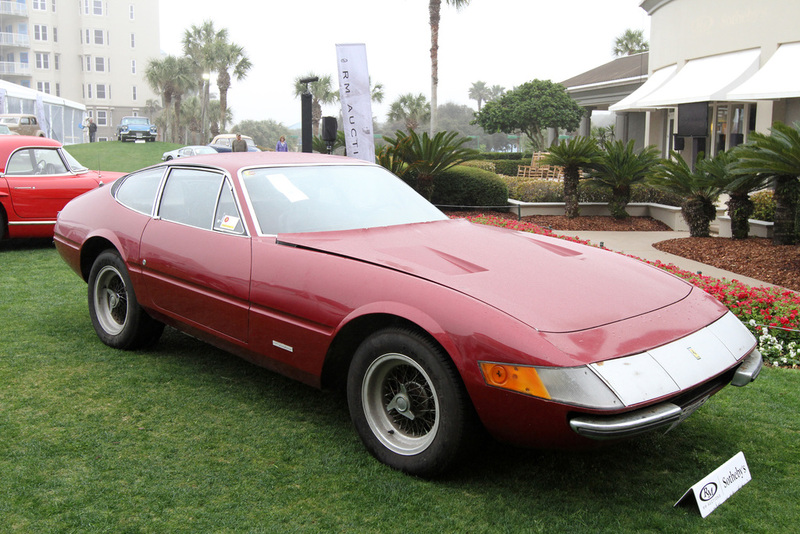 An Exceptional Daytona, Complete with Ferrari Classiche Certification. 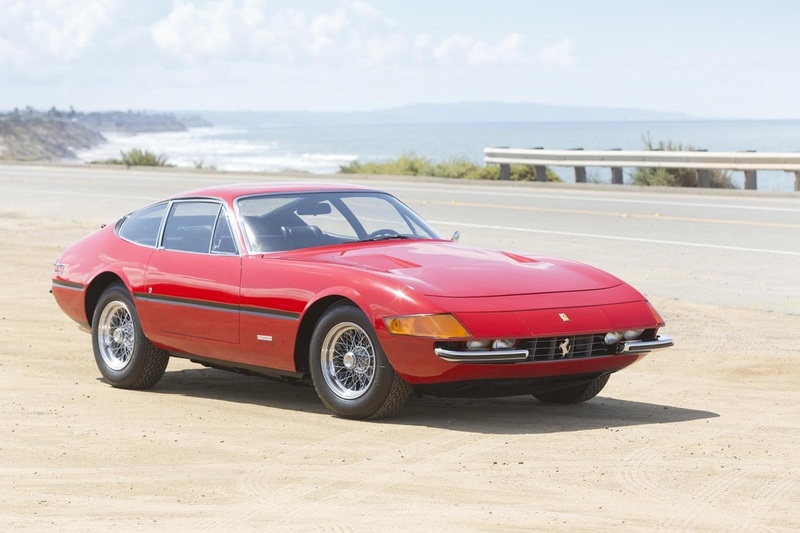 Auction Source: Gooding & Company’s 10th Anniversary 2013 Pebble Beach Auction.